Please fill in the short form below with your question, either about the Cobra HH-475, or for some technical advice. Please include details of your vessel if you feel they will help us answer your query. The Cobra HH475 FLOATING Handheld VHF Marine Radio (Bluetooth)is a state of the art handheld VHF radio is both practical, and has features making this an essential piece of kit. This marine VHF radio floats and will still work perfectly fine after 30 minutes in the water and is Submersible to JIS7 standards. This VHF radio comes with the patented Cobra Re-Wind feature, meaning the radio automatically digitally records the last 30 seconds of the last transmission, so you can replay what you missed. 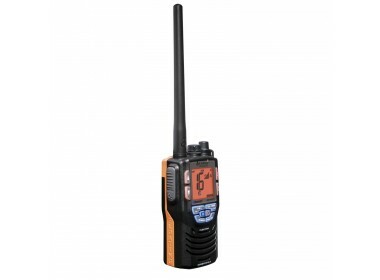 Selectable 1, 3 or 6 Watts of Power, this Marine VHF radio also has Tri watch (able to watch three channels at the same time) and unlimited memory channels, easy rotary power and volume knob, External Speaker/Mic Jack and International channels. Instant channel 16 for emergencies. Alkaline battery tray for back-up also included. 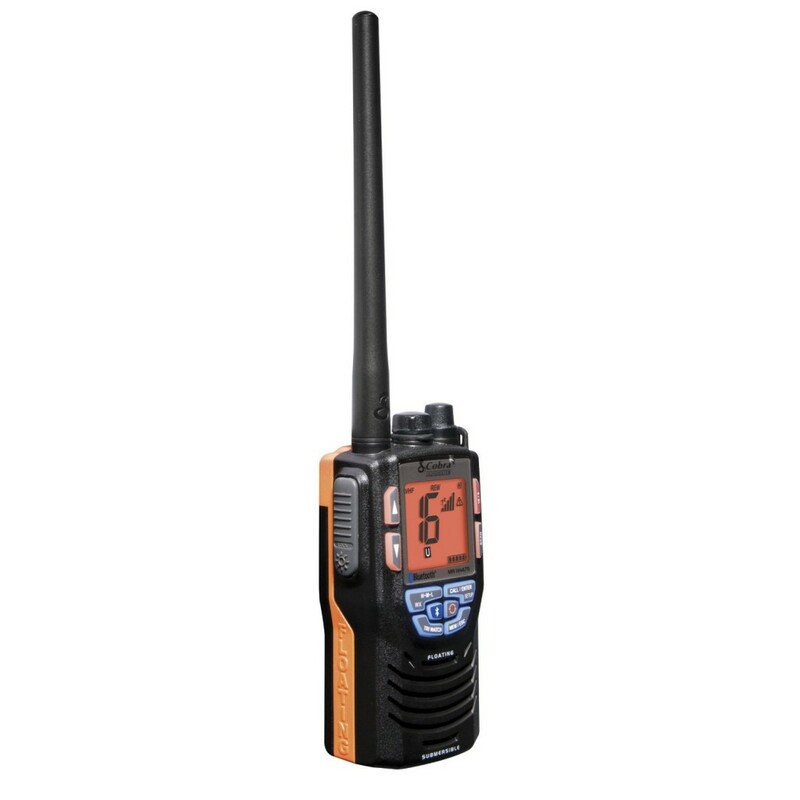 Additionally to this, the MR-HH475FLTBTEU Bluetooth and rewind VHF radio can be paired with your mobile phone, allowing you to leave your mobile phone in a safe, dry place, whilst still making and receiving phone calls.